The new data provides “an exciting opportunity to reconsider the potential role of aspirin in cancer prevention,” wrote the authors. And the data is indeed compelling – especially for colon cancer. In an interview with USA Today on April 9, 2012, Therese Bevers, a cancer prevention expert at MD Anderson Cancer Center in Houston, said: “Would I tell a person at average risk for colon cancer to take aspirin right now? No. If their cardiovascular doctor recommended they take it for their heart, I may tell them, Great, you may be getting a twofer.” Bevers says she would like to see more studies, but says a case could be made for recommending aspirin to people who have had colon cancer or have a strong genetic risk for the disease. The ACS meta-analyses provide provocative evidence that daily aspirin at doses of 75 mg and above might lower both overall cancer incidence and overall cancer mortality. Six trials were associated with an approximately 20% reduction in overall cancer incidence between 3 and 5 years after starting the aspirin treatment. It’s important to point out that while the results are promising, these meta-analyses excluded results from the Women’s Health Study, a large 10-year-long trial of aspirin takers which reported no reduction in cancer incidence or mortality. It must be a good idea to start a daily regimen, right? Hold on – it’s not that simple. Just because it’s widely available and doesn’t require a prescription, it doesn’t mean there aren’t hazards associated with daily use. In fact there are! 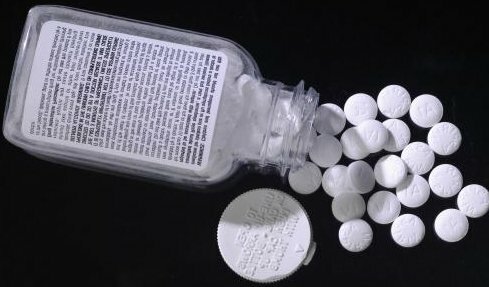 Current guidelines for the use of aspirin in disease prevention consider only its cardiovascular benefits, weighed against the potential harm from aspirin-induced bleeding. While daily aspirin use has also been convincingly shown to reduce the risk of colorectal cancer and recurrence of adenomatous polyps, these benefits alone do not outweigh harms from aspirin-induced bleeding in average-risk populations. Never start an aspirin regimen without consulting a doctor first! Many drugs, including ibuprofen, blood thinners and certain antidepressants can be risky to combine with aspirin because they also increase risk of bleeding. 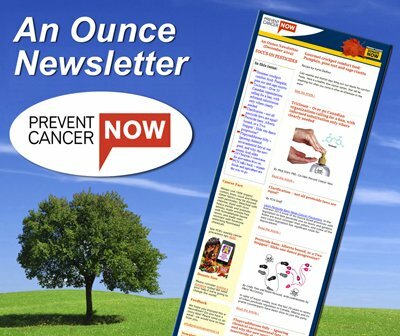 And always remember, true cancer prevention doesn’t come in a pill – it comes from preventing cancer. First do no harm.